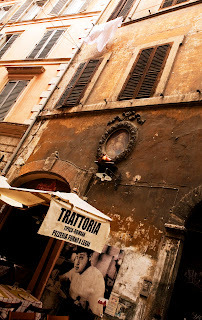 Dianne and I were wandering the streets around Campo dei Fiori in Rome. This wonderful poster of the very famous Italian actor Albertone - actually he was a Roman, and was a beloved resident and icon - caught our eye. 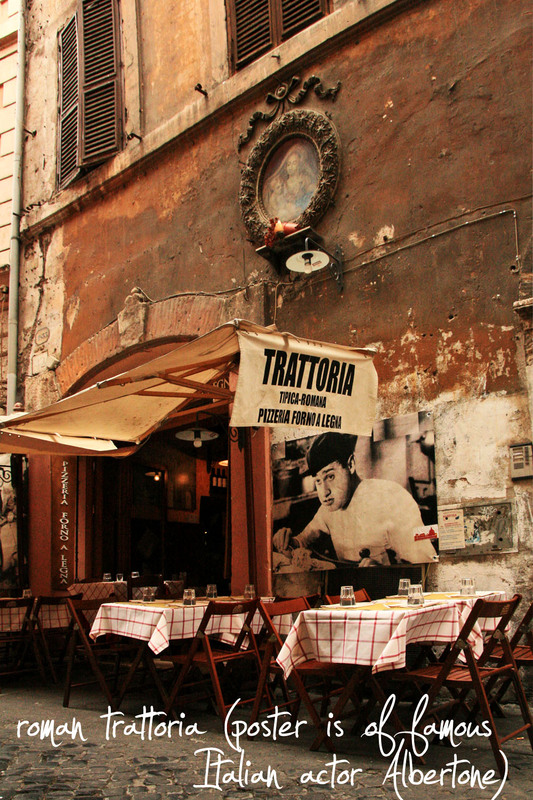 The scene of him eating bucatini is from the 1954 comedy "An American Man in Rome". In this image shot by Dianne, the poster draws us in. 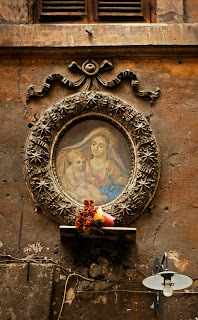 From there we start to look around the image and see some classic Italian elements - the checkered tablecloths, the decaying facade of the building, the shutters, the terracotta colours, the shrine to la Madonna above the trattoria. Above the shutters there was some washing hanging on a line, which can be seen in the composition below. This image is pleasant enough, although I prefer the first image where the strong foreground interest with the poster and tables dominating the image works well. The image above just has too much in it and is lacking a strong point of interest. When composing your images, you need to remind yourself every now and then that less is more. With that in mind, I focused on the shrine. These are everywhere in Italy. As you walk the streets, remember to look UP! Dianne used a levels layer (to increase contrast). Happy shooting and Buona Pasqua (happy easter! 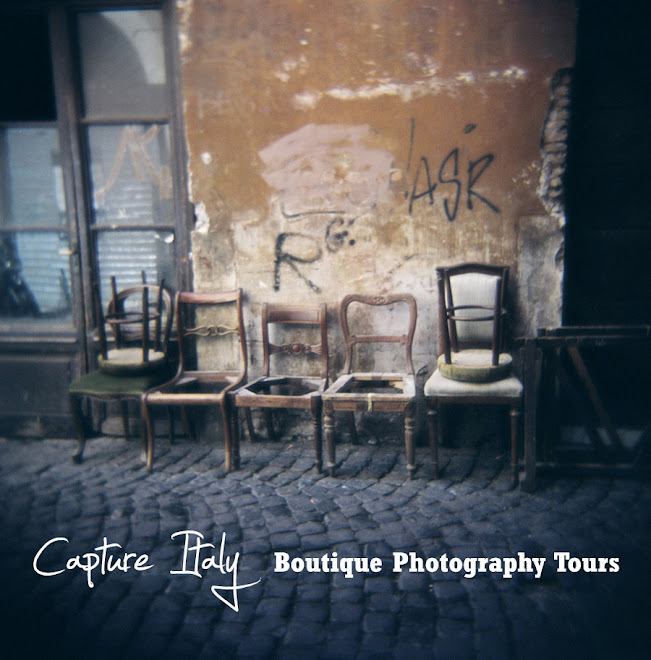 ), from Lisa and Dianne at Capture Italy.